Max Healthcare received the Prestigious DL Shah National Award on 'Economics of Quality' from Quality Council of India, conferred during the National Quality Conclave held in New Delhi on February 6, 2009. Max Healthcare is the first organization in the country from the Healthcare sector to receive this award. 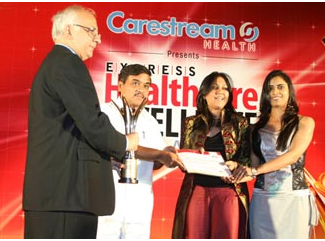 The Award was received by Dr Pervez Ahmed, CEO & MD - Max Healthcare, Shubhra Verma and Ridhi Malhotra. The DL Shah National Award on 'Economics of Quality' was given to Max Healthcare for a Six Sigma project on standardization and consolidation of housekeeping items. Through this project the organization was able to demonstrate significant improvement in quality by reducing complexity, better resource utilization, better vendor management that resulted in improved efficiency and service delivery to internal customers, patients and ultimately reduced costs.